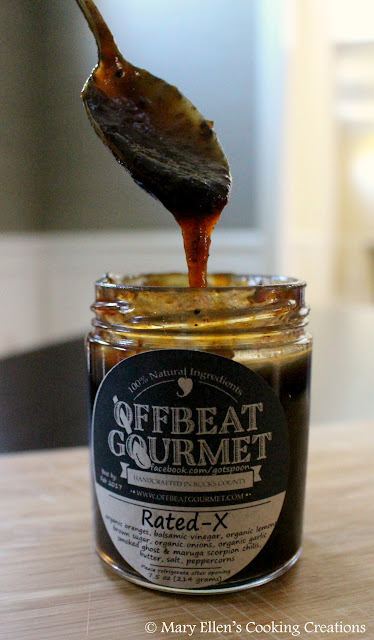 A few weeks ago I went to a cooking demonstration that showcased products made by a local company, Offbeat Gourmet. Offbeat creates premium condiments using locally sourced and mostly organic ingredients. At the demonstration we were able to try everything that they cooked as well as sample a bunch of Offbeat's other products. 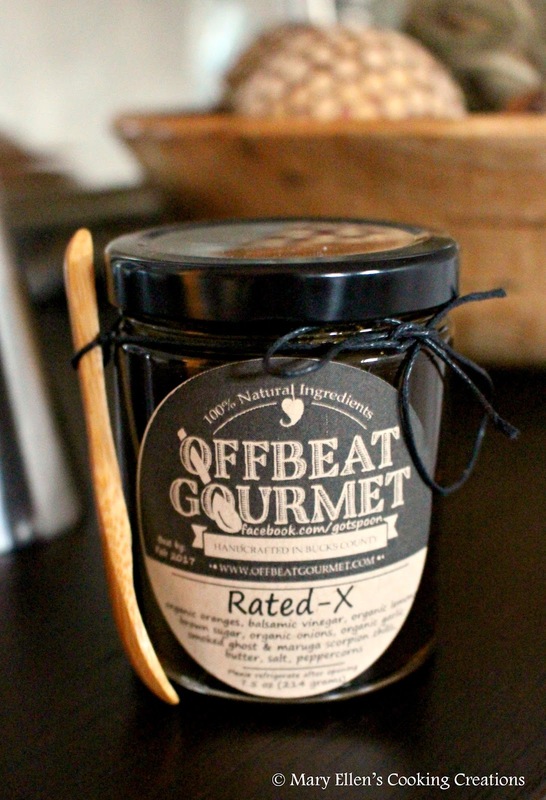 I ended up sampling and buying several products, including a sauce they call Rated X.
I knew I'd have to use Rated X the next time I made pulled pork. And with the heat coming from applewood smoked ghost peppers, I knew Jon would love it. 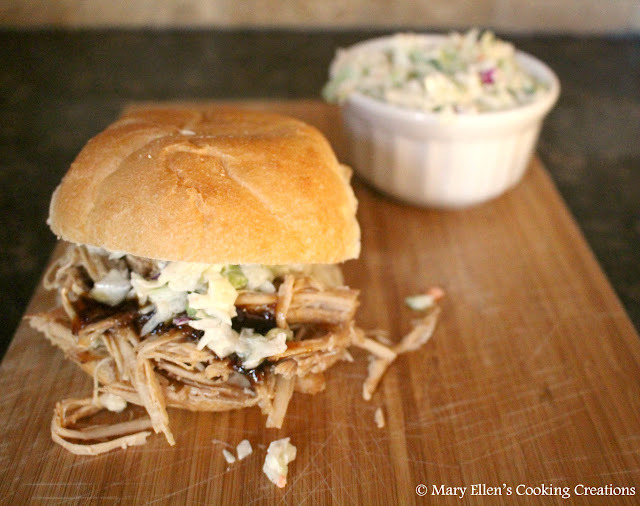 I made a rub for the pork using smoky, sweet and slightly spicy flavors to complement the sauce. For liquid I chose an IPA beer, a touch of cider vinegar and just a tiny bit of the sauce since we'd be using more on our sandwiches. 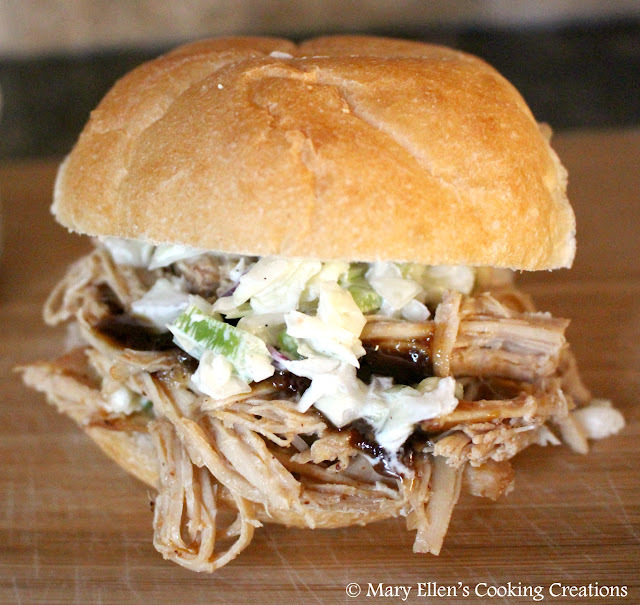 We put the sandwiches together on soft-on-the-inside, crusty-on-the-outside rolls with cole slaw and more of the sauce. I wish you could reach into the screen and taste this pork and the sauce. On its own the pork had just a hint of the heat, so adding that touch of sauce on the sandwich was perfect. Sticky, sweet and then hot all in one bite. In a bowl, mix the onion powder, garlic powder, paprika, chili powder, cumin, brown sugar, salt and pepper. Rub the mixture generously all over the pork. Pour in the beer and cider vinegar, and then add the Rated X sauce, stirring to combine. Turn to low and cook 2-3 more hours. 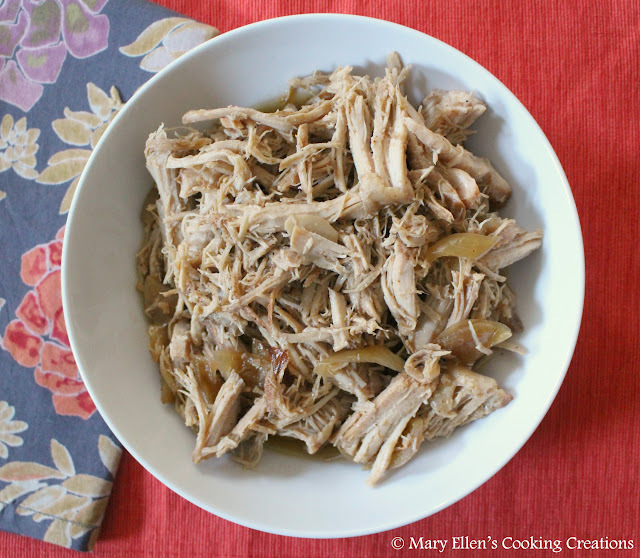 In the last hour shred the pork with 2 forks. Keep pork on warm until ready to serve.